Applied Linguistics, Sociolinguistics, Second Language Acquisition, ELT, Discourse Analysis, Gender Studies, Science Fiction, Technical Communication. Chetia Barnali, "Women in Science Fiction- Echoes from an Uninhibited World," Language in India (International), ISSN 1930-2940, Vol. 17:3, pp. 19-30, 2017. Chetia Barnali, "Unsung Women Characters of Mahabharata: A Saga of Unexplored Potential," Social Sciences International Research Journal, ISSN: 2395-0544, Vol 2:1, pp. 355-58, 2016. Chetia Barnali, "Rhetorical Devices in English Advertisement Texts in India: A Descriptive Study," International Journal of Social Science and Humanity, ISSN 2010-3646, Vol. 5:11, pp. 980-984, 2015. Chetia Barnali, "Gender and Acquisition of Discourse Markers-A Sociolinguistic Approach," Human Rights International Research Journal (Biannual Peer Reviewed), ISSN 2320-6942, Vol. 3:1, pp.219-223, 2015. Chetia Barnali, "Slangs and Gender-A Sociolinguistic Perspective," International Journal of Technical Research and Applications e-ISSN: 2320-8163, Issue 18, PP. 43-46, 2015. Chetia Barnali, "Language Contact in Indian Media-A Sociolinguistic Study," ed. by Dr. S Nikam, Journal of Higher Education & Research Society: A Refereed International, ISSN 2349-0209, Vol. 3:1, pp. 91-104, 2014. Chetia Barnali, "Discourse Markers in Written English Texts in a Multilingual Setting: A Comparative Study of High School English in the Schools of Assam," Language in India (International), Vol.13:9, pp. 40-70, 2013. Chetia Barnali, “ The Language of English Advertisement Texts-Selected Essays,” Sara Publications, June 2017, ISBN-9781730387050. 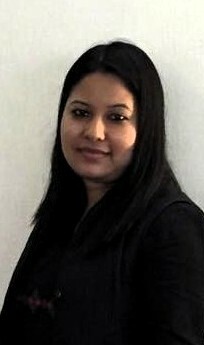 Chetia Barnali (ed. ), “Cradle Song- A Compendium of Indian Science Fiction Stories,” Sara Publications, April 2017, ISBN-9781730362606. Chetia Barnali, “Code-Switching and Mixing in Communication- A Study on Language Contact in Indian Media,” in the RAIS international conference The Future of Education, Mass Media and Communication, held at Johns Hopkins University, Montgomery County Campus, Rockville, MD, U.S., October 16-17, 2017. Chetia Barnali, “Technology and Code-Mixed Communication- A Cross-Cultural Study,” in Language, Literature and Technology: Sixth International Conference on Language and Literary Studies, held by The Faculty of Foreign Languages at Alfa BK University Belgrade, Serbia, May 19-20, 2017. Chetia Barnali, Hazra Debabrata, “The Ethno-linguistics rights of the Adivasis in Manbhum: A Forgotten Saga,” in the National Conference on Adivasi Communities: Understanding Relationships between Culture, Literature, and Languages, held at Central University of Gujarat, India, March 30-31, 2017. Chetia Barnali, “ Grammar in Advertising Communication: A Lexico-Linguistic Analysis,” in the V Conference Innovation in Philology and Communication Studies: Methodological and Research Applications, held at the University of Valencia, Spain, December 14-16, 2016. Chetia Barnali, “ Women in Science Fiction- Echoes from an Uninhibited World,” in the 2nd World Conference on Women's Studies by the International Institute of Knowledge Management in collaboration with Centre of Excellence for Women's Studies, University of Karachi (Pakistan), Colombo, Srilanka, May 05-06, 2016. Chetia Barnali, "Unsung Women Characters of Mahabharata: A Saga of Unexplored Potential," in International Conference on Women Studies & Social Sciences, Carmel College of Arts Science & Commerce for Women, Nuvem, Goa, India, March 03-05, 2016. Chetia Barnali, "Slangs and Gender-A Sociolinguistic Perspective," in International Conference on Humanities, Languages and Social Sciences (ICHLSS), Management Development Institute of Singapore (MDIS), Singapore, June 16-17, 2015. Chetia Barnali, "Technical Communication for Engineering Students: Relevance in the Indian Context," in Eighth TheIIER-Science Plus International Conference, Dubai, UAE, January 24-25, 2015. Chetia Barnali, "Information and Communication Technologies (ICTs) and Wikispaces for Engineering Students -Relevance and Utility," at Bangla Wikipedia 10th Anniversary Celebration and International Conference, organized by Jadavpur University, Kolkata, India, January 9-10, 2015. Chetia Barnali, "Grammar as We Know and Grammar as We Use -A Study of Lexical Features in Marketing Communication," at International Workshop on Communications in the Era of the ASEAN Economic Community, organized by Shinawatra University, Bangkok, Thailand, December 18-19, 2014. Chetia Barnali, "Rhetorical Devices in English Advertisement Texts in India: A Descriptive Study," at 4th International Conference on Humanities, Society & Culture (ICHSC), organized by International Economics Development & Research Center (IEDRC), Kuala Lumpur, Malaysia, September 2-3, 2014. Chetia Barnali, “English Advertisements in a Multilingual Setting- A Linguistic Perspective,” at International Conference on Humanities, Literature & Economics (ICHLE), organized by International Centre of Economics, Humanities & Management (ICEHM), Bangkok, Thailand, January 1-2, 2014. Chetia Barnali, “Code-Switching and Mixing in Communication- A Study on Language Contact in Indian Media,” in the RAIS international conference Proceedings, ed. by Ioan Gheorghe Rotaru ( Rockville, MD, U.S., 2017), pp. 110-123, ISBN-978-1-945298-08-0. Chetia Barnali, "Technical Communication for Engineering Students "Relevance in the Indian Context," in Eighth TheIIER-Science Plus International Conference Proceedings, ed. by Dr. P Suresh (Dubai, UAE, 2015), pp. 49-51, ISBN 978-93-84209-83-4. Chetia Barnali, "English Discourse Markers-The Second Language Learner Perspective," in ICELL International Conference Proceedings, ed. by H Suwastio, S.R.Najeeb, K Kamaluddin (Hyderabad, India, 2014), pp.1-5, ISBN 978-93-83303-59-5. Chetia Barnali, "English Advertisements in a Multilingual Setting-A Linguistic Perspective," in ICEHM International Conference Proceedings, ed. by Prof. Jiri Strouhal (Bangkok, Thailand, 2014), pp. 27-29, ISBN 978-93-82242-59-8.
International Conference on Humanities, Languages and Social Sciences (ICHLSS), Management Development Institute of Singapore (MDIS), Singapore, June 16-17, 2015.
International conference (RAIS) on The Future of Education, Mass Media and Communication, held at Johns Hopkins University, Montgomery County Campus, Rockville, MD, U.S., October 16-17, 2017. Workshop on Communications in the Era of the ASEAN Economic Community, organized by Shinawatra University, Bangkok, Thailand, December 18-19, 2014.